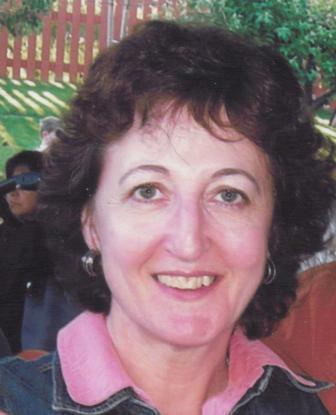 Lorraine Mary Eileen Seguin was born at St. Mary’s Hospital in New Westminster, BC to parents Rose Emma German (nee Fletcher) and Edward Albert German. Affectionate name “Rainy” to her sister Elizabeth. Raised in Port Coquitlam, BC and graduating in 1974, she set out that summer to travel across Canada and two years later to the Yukon. She settled in Vancouver living in the then trendy Kitsilano area working as a receptionist until the call of the Yukon beckoned her north once more. Stopping in Louis Creek to visit friends she met – and later married – Gilles Seguin. Lorraine found a job housecleaning for Dorothy Prentice, who lived in a log house in Louis Creek. Dorothy gave shelter to a handicapped man nicknamed John Two Hats as he always wore two ball caps at the same time. Dorothy and Lorraine became friends and from there bloomed her acceptance into the valley community where she gained the friendship of many and the skills of a pioneer. Son, Luke Daniel, was born in 1982 and daughter Erin Elizabeth in 1985. Buying a house in Barriere in the early 90’s she began to renovate, becoming a good painter and wonderful mudder. Volunteering as treasurer for the Fall Fair allowed her to meet and befriend many of the townsfolk and pioneers as well as lending opportunity for employment. She retired from Canada Post as Postmaster in 2016. Her illness took Lorraine’s life, but only on this earth and not before she met her best friend and companion, Stephen Renden, who shared her love of travel. As the fireweed bloom in the Yukon after a fire, the wildfire of 2003 sparked many motorcycle adventures throughout the US on his Kawasaki Concours. Please accept our heartfelt condolences; words cannot begin to express the sadness you are feeling right now, but we are here for you and we are praying for you to get through this. God bless you and may the soul of your beloved mother and grandmother rest in the everlasting peace of Christ Almighty. Lorraine was a life long friend and one of my dearest. I will love her forever and miss her forever. I will always look back with a smile and a laugh when I think of the many adventures we shared over many years. She was a true friend and losing her leaves a gap in my heart. I am deeply saddened to hear of Lorraine’s passing. I met her in the late 1970’s, either in Louis Creek or Kamloops. I ran into her smiling face a few years back in Kamloops and we sat and talked for awhile — it was at the North Kamloops McDonalds and she was with her daughter and I with my granddaughter — it was good to catch up. Lorraine was my cousin. I have known and loved her since her birth. She was a beautiful person – smart, witty, independent, a loving mother and devoted daughter. We did not live close to each other but kept in touch through the years, often sharing stories about the German family, our grandparents and other relatives who have passed on. Lorraine faced cancer with courage and never faltered. Steve was her constant companion and it was wonderful to see them together. Our condolences go out to Luke, Erin, Hayley and Tyler. Lorraine will suffer no longer and be remembered as the beautiful person that she was. My sincere sympathy to you Luke and Erin and family, on the passing of your mom. You are her legacy and she lives on in you. I know she is proud of you and loved you dearly. We will be with her again. In the meantime live your lives fully and may God protect you and give you comfort now and in the years to come. May His peace and favor be on you and yours. Much love. Lorraine has been a part of my life since I was 12 and that’s quite a long time. Lorraine was the kind of forever friend that we could be apart for awhile and when we got together it was like no time at all had passed. We had so much fun and adventure over the years, having babies, seeing them grow and then becoming grandparents, another huge joy! There are so many things around me every day that remind me of my friend and while the loss is real so is the joy. Lorraine loved God another thing we had in common and no matter what happened in her life she would go back to her faith. I’m thankful to have had Lorraine in my life. Such a hard thing for a child to loose a mother, a grandchild, a grandmom and for a partner his beautiful companion. My love to Steve, Erin, Luke, Haley and Tyler and all of Lorraine’s family. I met Lorraine when she was probably only 14 and I was 16 and we were friends of a sort till our twenties. She was alway self-possessed and strong and had a great influence over my youth. I remember her style, her dry wit and down to earth humour, her kind heart and very good common sense. My heart goes out to all her family and friends for their loss. So sorry to hear of your Moms passing. My condolences to all your family. Remember the good times. She will always be in your heart. Hugs.